Some works that evoke less-than-sunny weather… Not all nature-inspired works can be twittering birds. Sometimes you need to have a bit of rain too. 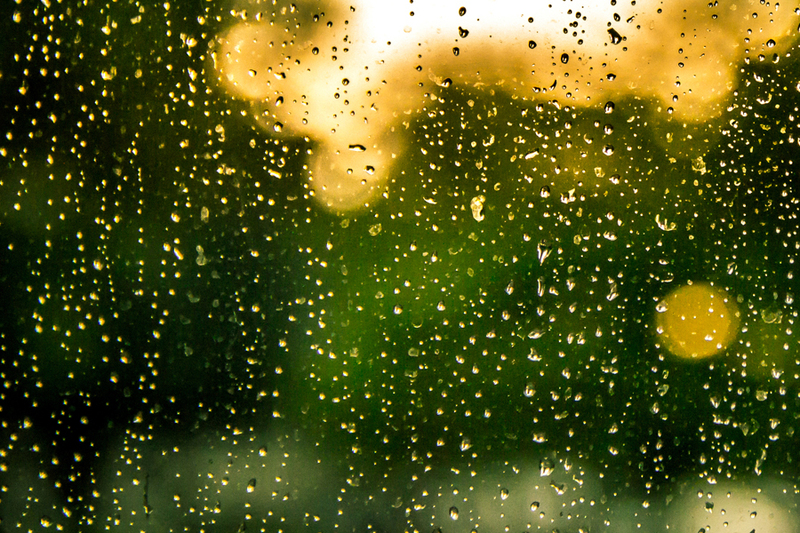 Whether it’s a light drizzle or a full on thunderstorm, composers have been trying to convey the sound and mood of wet days for centuries. Chopin’s insistent ‘Raindrop’ prelude (Opus 28, number 15) repeats an A-flat in a dreamy way that is reminiscent of staring contemplatively out the window at a passing shower; Debussy ups the ante in the section of his work Estampes called Jardins sous la pluie (Gardens in the Rain) there the downpour is more intense and the listener is on the other side of the window, perhaps. Benjamin Britten chose a unique set of instruments, which he called ‘Slung Mugs’ (suspended coffee cups, hung by a string and hit with a wooden spoon) to capture that sound of the first raindrops – in this case, the ones that would continue into Noye’s Fludde (Noah’s Flood). And similarly, in The Sound of Music, when Liesl and Rolf get caught in a shower and have to move their dance to the safety of a gazebo, it’s glockenspiel, piccolo, and pizzicato strings in a haphazard rhythm that increases in speed and regularity. There are examples of thunderstorms in Beethoven’s Pastoral Symphony, as well as Ferde Grofé’s ‘Cloudburst’, part of the Grand Canyon Suite. Eric Whitacre’s piece, also called Cloudburst, asks the singers, who are already joined by some percussion players, to take up bells, and clap and snap their fingers to make the sound of the falling rain.